We invite organizations and businesses that are engaging with the creation of a culture of peace to establish a link to this site under catagories for: peace and social justice, nuclear abolition, environmental and economic sustainability, education, the arts and culture, healing, spiritual awakening, and community unity. We seek to inspire participation in the growing culture of peace that will convert our national laboratories from engagement in mass destruction and violence into utilizing our resources to deal with real national security issues of energy interdependence and global climate change - AND the myriad of other life affirming activites to assure a livable world for future generations. Concerned Citizens for Nuclear Safety – Protecting all living beings and the environment from the effects of radioactive and other hazardous materials now and in the future. 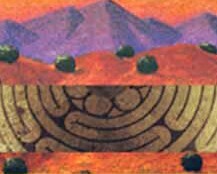 Nuclear Watch New Mexico – Providing timely and accurate information to the public nuclear issues in the American Southwest, and encouraging effective citizen involvement and activism in these issues. Alliance for Nuclear Accountability – A grassroots network of 34 organizations working in the shadows of the nuclear weapons complex on health, cleanup and weapons issues. CARD Citizens for Alternatives to Radioactive Dumping – CARD is dedicated to protecting the land and people of New Mexico from radioactive contamination. Citizen Action Citizen Action New Mexico – To clean up Albuquerque's Nuclear Waste Dump. The Department of Peace Initiative – DPI is an organization committed to finding and maintaining a high ground of humanity, respect, hope, and safety for our citizens, and for future generations. Network of Spiritual Progressives – The Network of Spiritual Progressives of Northern New Mexico brings people of all paths together to uphold the ethical and moral values common to every faith tradition. Working for justice, acting for peace Sisters of Loretto – Loretto Community members are persons of faith who care passionately about one another, about issues, about the world. The Declaration of Peace is a nationwide campaign to establish by September 21, 2006 a concrete and rapid plan for peace in Iraq. Santa Fe Hemp – devoted to environmental and social justice issues, which is why we strive to offer organically-grown, certified fair-trade items, and locally-made when possible.